- small, dense and angled brush head. Made with exclusive Sigmaxﾮ fibers, this brush was designed mimic your fingertips and great for applying contour shades to apply to the hollows of the cheeks and sides of the nose without any absorption of product. 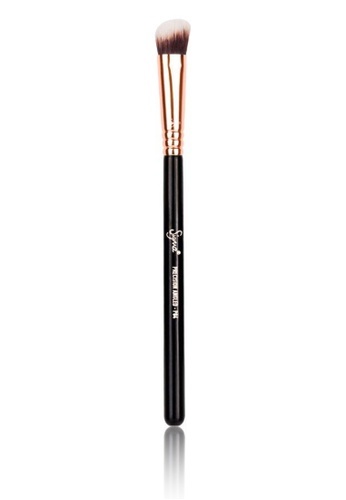 Can't find P84 Copper Precision Angled Brush in your size? Sigmaxﾮ Fibers - Sigma Beauty's exclusive thermoplastic engineering polymer developed to evenly apply cream and powder products onto the skin for a high definition effect. Features premium filaments engineered for outstanding softness, heat and chemical resistance, mechanical strength and high durability. Sigmaxﾮ fibers are antibacterial and hypoallergenic.